Nairabet Promotion Code 2019: Enter NA…..
Nairabet is a one of the top Nigerian betting sites. Register with our promo code and enjoy bonuses. Create your account will also allow to take part in challenges and try your luck at the massive N20,000,000 jackpot. With the open form, users can place the most basic data such as Username, password, nationality (only citizens of Nigeria), currency (only naira), mobile number and email. The form also offers the possibility of entering a promo code if you have one. The mobile number is necessary, it is recommended that before starting the registration the user verifies that his mobile number is active and ready to receive and send text messages. The mobile number will be used to verify the account, make deposits and other actions on the Nairabet website, everything is easier with a personal telephone. In case of not wanting to fill out the form, users can call directly the telephone number 070 0624 72238 to open an account, it is a much faster registration but requires more specific details. Monday Funding Madness: Every Monday, users get a 10% bonus for each deposit between 9 am and 9 pm. It is an offer that does not have demanding terms and conditions, only common rules that everyone already knows. The bonus can be used in any type of bet, league or special event. In addition, the bonus is compatible with live betting. EPL Money Back: Special offer for the English footy, a perfect opportunity for the 1X2 option which includes a money back bet insurance in case the match ends 0-0. It is an exclusive offer for 1X2 bets in the English Premier League if the bet loses, the user gets a full refund in 24 hours. Acca Insurance: This promotion is not the same as can be found in other bookmakers, it is different and much more lucrative. For each acca of 10 selections, the user gets life insurance, that insurance works if one selection loses and all other selections win. The user will receive part of the prize, for example by N100 in an acca, the user can receive up to N16,000! Cash Out: More than a promotion, it is an incredible advantage that very few bookmakers offer, but Nairabet offers Cash Out in most of the most important events, especially in live betting and pre-match. This option is sought by users, since the chances of making money quickly and without risk are better with Cash Out. Lucky 15, 31 & 63: There will be no equal promotion, only for users who love big bets like Lucky 15, 31 and 63. That type of bets are difficult to win, but in case only one selection is the winner and all other selections lose, the user will receive a special double odds bonus for that selection plus a cash prize. Free shot at N20,000,000: All users are invited, totally free, this promotion includes a weekly ticket to place bets in any event, in addition to entering the jackpot for N20,000,000 million at the end of the year. Only one daily deposit is allowed, multiple deposits are not allowed. The bonus can be used with any type of odds, there is no strict rule regarding the odds. In case of having a winning bet, the rest of the bonus will be removed from the user's account. The match must end 0-0 to receive a bet refund, but if the bet is winning, the user will not receive any type of refund. Only for single bets in the EPL. Each selection must have a minimum of 1.2 odds to participate in this promotion, all selections in the accumulator must have at least 1.2 odds without exception. The acca must lose by a single bet so that the user receives the bonus. The cash out will be available in the events selected by the team of Nairabet, the user can make cash out during, before and after the end of the sporting event. Sometimes special bonuses will be offered if the bet loses. This offer will only be available for some Basketball, Tennis, and Table tennis events. it is a bonus that will be awarded only if only one selection or bet is won in lucky 15, 31 and 63. The ticket to participate in the jackpot will be delivered weekly, the user can use up to N20,000 to make bets and casino games within Nairabet. Is Nairabet a legal bookmaker in Nigeria? This bookmaker is authorized by the Association of Nigerian Bookmakers, the association is regulated by the Lagos State Lotteries Board, is a fully legal company that is fulfilling all the requirements to be a betting operator, casino and other services, the name of the company Behind Nairabet is Get Altitude Nigeria LTD and The Top Entertainment LTD.
How many products does this operator offer? Nairabet mainly offers sports betting, almost all promotions and offers are directed to the sports betting section, which covers most of the most popular sports in the world. The second product offered by this operator is the Casino, which has a complete selection of games and options for lovers of casino games. The majority of withdrawals are processed on a work day, which means that any withdrawal will be carried out from Monday to Friday, only business days. Nairabet has a very strict rule, the withdrawals will only be the earnings of the bookmaker, they are not allowed to withdrawals from the deposits. Is there a promo code to register on Nairabet? use the code displayed on the top of this page (which is the only promo code currently available for use in the registration form on the website). The promo code offers 100% up to N100,000 per user, the code can be used only once. Customer to Customer transfers: In case you want to send money to other players in Nairabet, the bookmaker offers this option totally free for all users. Only for users with an age in the bookmaker of more than 30 days. It is the best option to share money with friends and family in Nairabet. The maximum per daily transfer is N50,000. The user is responsible for the transfer, if he makes a mistake with the name of the other user who will receive the money, Nairabet is not responsible for losses caused by user errors. The bookie in Nairabet offers up to 18 different sports, each sport has available the most lucrative events worldwide, on football, basketball, and tennis. Football offers the best leagues, coupons daily with jackpots up to N100,000. The bookie is compatible with devices such as smartphones and tablets. The casino offers everything typically found in any other provider of this type of product in Europe or anywhere in the world. Nairabet offers the casino as a secondary product with a large collection of games, bingo, keno, scratch cards and video slots. The virtuals is also another casino attraction with jackpots and virtual roots. The odds in Nairabet are first in Nigeria, they are the most lucrative offered in the country. The difference between the odds of this operator and other nearby operators is low, sometimes almost nil, as Nairabet strives as a bookmaker to offer the best odds to all users, especially in the most lucrative promotions. The user can find all kinds of answers for the simplest questions and the most complex questions that come to mind in Nairabet, the FAQ has a complete and simplified list of questions with all the necessary answers. The customer care team offers live chat 24/7, telephone number and email for direct contact. Nairabet is the most versatile sports bookmaker in Nigeria with the largest number of deposit methods. Currently, the available methods are Bank Transfer (First Bank, FCMB, UBA, Sterling Bank, Union Bank, Stanbic IBTC Bank, Eco Bank, Access Bank, Fidelity Bank), it is also possible to deposit funds with the debit card MasterCard or Verve card. If you want to deposit without using the website, users can use any of the ATM Quickteller in Nigeria or deposit with an authorized Nairabet agent. The minimum deposits are N1,000. As mentioned above, Nairabet has a maximum waiting time of (1) business day for users to receive their winnings, in case of requesting a withdrawal on Friday, due to the wait, the money will be sent on Monday at the 24th hour. To receive money in a bank account, users must verify their bank account information with the Nairabet team before requesting a withdrawal from the bank. The largest amount of money allowed per user for withdrawals is N500,000, and the minimum amount is N1,000. Nairabet as a bookmaker offers users the three forms of contact offered by the best operators in the world, we are talking Live Chat, Email and telephone number available 24 hours a day. The live chat is in the bottom left corner of the website, you need a phone number to use the live chat. The second option is the email [email protected], the answers through the email do not take more than 12 hours to arrive. The last option is the official phone number of Nairabet 0700 6247 2238 available to all users and unregistered persons. Officially Nairabet does not offer any type of App, although in some internet websites you can find a version of a supposed app which is compatible with Nairabet to make bets, but it is not official. On the website, there is no download link for the app. The mobile site is the responsive version of the website, it is a mobile site not very easy to use, the development of the mobile site apparently is not complete and the failures are persistent when placing bets and using Nairabet products. This mobile site may be one of the few functional anywhere in the world. As an operator in Nigeria, Nairabet is one of those who carry the flag of leader, despite being a country that does not offer much in terms of technology for sports betting, Nairabet has endeavored to dominate the industry and try to establish a respectable brand. Using this bookie is easy, it is one of the easiest to use betting sites that exist on the internet, but the ease is seen with the lack of better products that are on a par with the big bookies of the world. Nairabet urgently needs to offer improvements in the technological area, especially creating a new app and mobile site that are beneficial for users. The lack of an app has created a void in Nairabet, users can not make quick bets with their phones and this is a negative for a bookmaker. The positive thing about this bookmaker is that it has strived to offer several methods of payments in a country that has few options available to users, in addition, the products have been improving at the pace of promotions. The combination of sports betting and casino games attract local users, and the products have kept working properly. 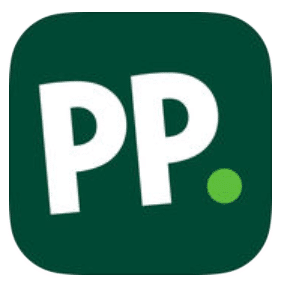 Paddy Power: This is one of the best options for users who want to have all the services in one place. £ 30 pound welcome bonus for new users, free bets up to £ 10 pound for each new bet at the bookmaker. The promotions at Paddy are very attractive, including trips and prizes of up to £ 100,000 per season. 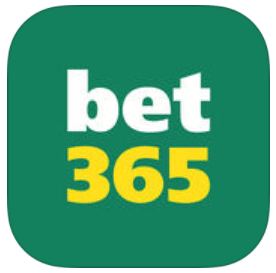 Bet365: This giant bookie offers all the services available in the industry, from football matches to horse races. The odds are insurmountable and the offers every day are better. For new users, the promotions exceed £ 50 and up to £ 300 for casino games with the best slots. 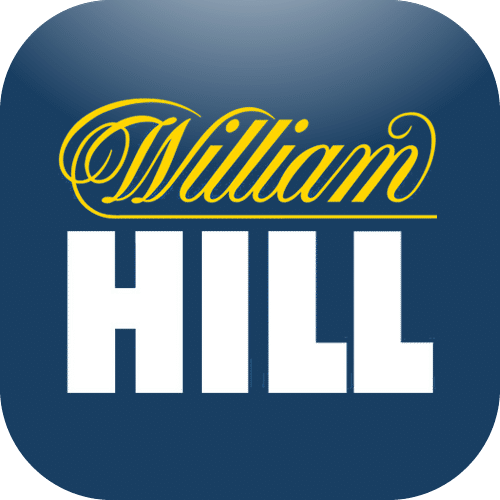 William Hill: WHill TV is the biggest benefit of using this bookie, it is one of the best live streaming of sporting events in the world. Welcome bonus of up to £ 50 for sports betting and £ 300 for the casino. More than 250+ slots from different providers in the casino and around 100,000 live events each year.